Breaking news here in Holland - I suppose the same in the UK? The Notre Dame is on fire. And it is a big one! Pics clearly show the flames coming through the roof. This is very very sad. Yes on the BBC now, really awful thing to see. Very sad, it does look bad. Indeed, odd that potential terrorist action is being muted. 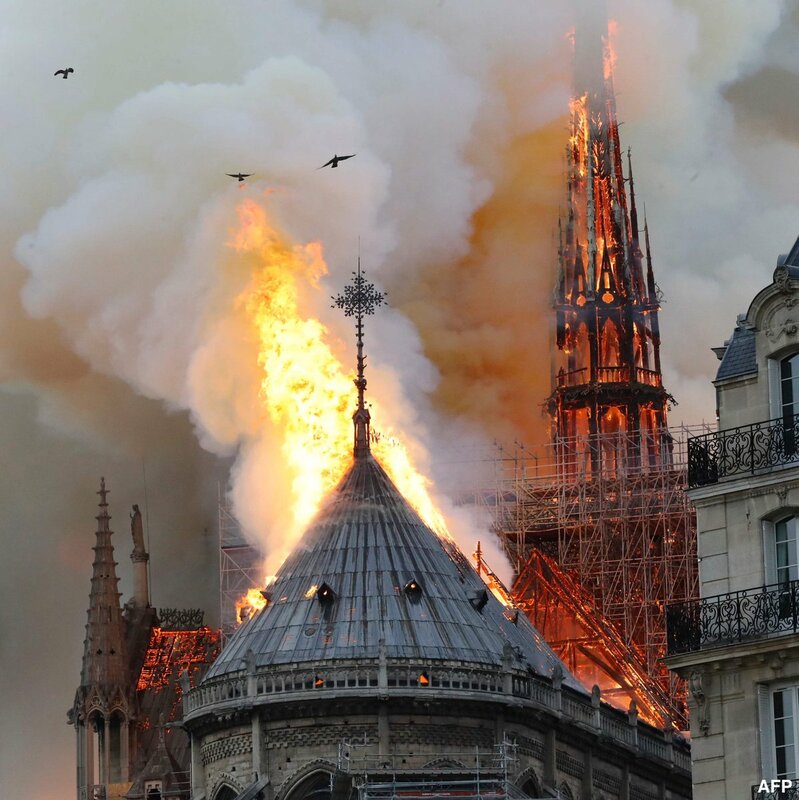 I'm not a religious person, but it's still awful to see a beautiful piece of architecture like that ablaze. I live quite close to Salisbury Cathedral and have been there many times. If anything happened to that I'd be gutted. Literally irreplaceable, we don't have the skills to build something like that any more. I hope they get Notre Dame under control soon. EDIT: My youngest: "That's exactly like Game of Thrones!" Philistine that he is! Last edited by thieuster; 15th April 2019 at 20:02. 759 years since it was completed - terrific innings. Horrible to see, was in there few months ago. 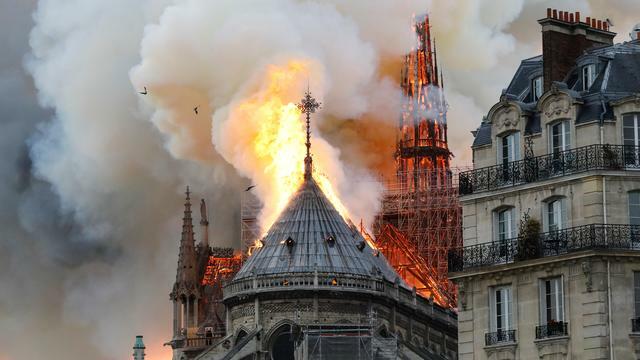 Some sources tell that the fire brigade first went in to secure as many treasures/relics/art as possible before they started to fight the flames with full force. As far as I can see behind my keyboard, not a bad approach! The roof is replaceable, the relics etc not. Surely there's a plan about 'what and how' when a calamity of this proportion turns up. I hope it has worked. Very sad to see, however I am sure they will be able to restore it over time. Just as they did with Windsor Castle and other. I really hope that its not terrorism related otherwise it simply makes a bad situation worse. . It's very sad to see all that history and art destroyed. It seems a risky business to get the restorers in, they did for Windsor castle and the Mackintosh building, twice. The police are saying they're not sure who started it but they've got a hunch. Very sad, my condolences to the French and particularly our French members. It may be just a building but these iconic buildings become part of our national and therefore personal identity. Apparently there was some restoration going one (I suspect there always is). If that is found to be the cause it will join Uppark, The Glasgow School of Art and The Cutty Sark. Last edited by Jeremy67; 15th April 2019 at 20:13. It is terrible, it was a beautiful building but all repairable. And surely when it's a cathedral or church the cause has to be an act of god? In the UK that's a Major Incident Plan (at least it was when I was in the service). A pre determined attendance with appliances going to set positions on a site where water, manpower etc would likely be needed. At Durham Cathedral there are fixed pumping points down at river level which go up to outlets at the top of the (very steep) bankside. Also there are static tanks under the Palace Green with 50,000 gallons of water for immediate use. There's an extensive fire detection system in there as well. I'm ashamed to admit this has only just occurred to me but let's hope and (optionally) pray that there has been no loss of life or injury. I suspect that if there is a God then those men who have nominated themselves to speak for him over the years may well have over sold his inclination towards micro management. A real shocker. Given the spread, I’m not sure the towers will survive. Timber framed buildings are at significant risk during construction/renovation. Vintage ones even more so - precautions, protection and diligence cannot be high enough. Sad sight to see, it will be pretty much a total loss. Bob is bang on with the pre-planning stuff, but there should have been much more in place to cover the risk of this iconic building during the renovation. Last edited by Chris_in_the_UK; 15th April 2019 at 21:32. Such a shame, many happy memories there. A real tragedy to lose such an iconic building from the landscape. Mesmerising to see such a global icon. It really can't be replaced. Excuse my ignorance but is this a known quote or your personal view, either way, those are my exact feelings and summed up so wonderfully. Sat on a plane on the way to rio in paris right now. Glimpsed the effeil tower on the way in but didn't see any blaze. Anyway this is sad news and just hope no one has been killed or injured and the services have managed to save as much as they could before tackling the fire. Absolutely heart breaking ! Such a stunningly beautiful gothic building being destroyed. Current view is that the fire started in the roof area and may be due to renovation being carried out. No mention of terrorism. No reported casualties. Sadly it appears no fire prevention system installed or nearby. And right next to the river ! Last edited by Webwatchmaker; 15th April 2019 at 22:40. Interesting reading material here: https://twitter.com/GreggFavre/statu...47726786371585 Lots of info that was new to me. Think this guy is in the US? Most of what he posts is not the current best practice across the world - the US has a large number of volunteers and a high mortality rate for firefighters. They are very enthusiastic but rely on outdated techniques and practices. Reading his Twitter bio I'd say he's American. It's more about the precautions on how to prevent a fire to get 'big' etc. I can't comment on the quality of the equipment and the training of people. Here's hoping enough has been saved for a rebuild. Truly tragic loss. I cycled past it just 3 weeks ago on the french equivalent of Boris Bikes (Velib). What do you think about the rebuild prospects? I dont mean to be a pessimist but it looks pretty extensive, not just the entire roof but even the top layer of support. How would you go about replacing a near perfect norman gothic roof from 800 years ago? Do we still have the knowledge, skills and patience to take it on? It would have to be a perfect recreation of what was there, can modern technology do that? Macron has pledged to rebuild it with international help. I can't help being cynical to suggest that this tragic event may give him valuable breathing space from his trouble with the yellow vests. Utterly gutted. I love Paris and Notre-Dame has been an intrinsic part of just about every visit to the city. Heard that a firefighter had been injured so obviously hoping that it is not too serious. Devastating. I'm also understanding that the magnificent organ has been lost - look for Daniel Roth playing this on YouTube. The one glimmer of hope is that a recent detailed laser scan of the interior will guide the recreation. On R4 this morning I heard the spire was already a rebuild from the original. Magnificent that the fire service appear to have saved the stonework. I wonder how this sad event will affect all the traders and artisans in the area. The stalls around this cathedral were also a great pleasure to explore. 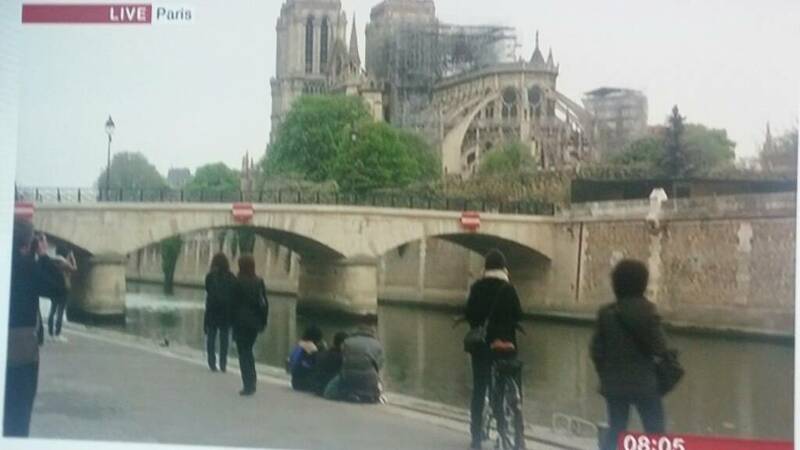 Parisians truly look heartbroken this morning. I hadn't thought about the availability of the wood, tbh. You could be absolutely right. And, can you use 'fresh' timber for work like this? I guess when they started building this sort of churches, they felled a bunch of trees and let them 'adjust'. The same way we do with planks for parquet floors. I'm absolutely no expert on this. Would be nice to learn about that from someone here who has this sort of knowledge. The Dutch the rebuild of the 17th Century merchant ship Batavia. That took years and year. There were(...) also plans to reconstruct the Zeven Provinciën, the admiral ship of the Dutch (17th century) navy. The project is on hold because it's simply too intricate to build this within a reasonable time and for a reasonable sum of money. Talking about money: Dutch papers mention the fact that Group Artemis (owner of Gucci etc) has pledged 100 million euros to help to rebuild the ND. According to Wiki, they started building in 1163 and it was finished in 1345 (final hand on the interior). I suppose that watching the rebuild of this church, will learn a lot about the monumental en brilliant job the people in the Middle Ages did! Normally, we look up and listen to the guide telling us how difficult it was. Now, with the aid of -let's say- Discovery Channel we can follow this closely. In a way, this can tie us stronger to our European history. Apparently the main structure has been preserved. Whilst the stonework is still standing it may not be stable enough to remain. We wont know what effects the temperatures have had on the stone until a full survey has been done. ^^^^ That's enough to give people the hump.